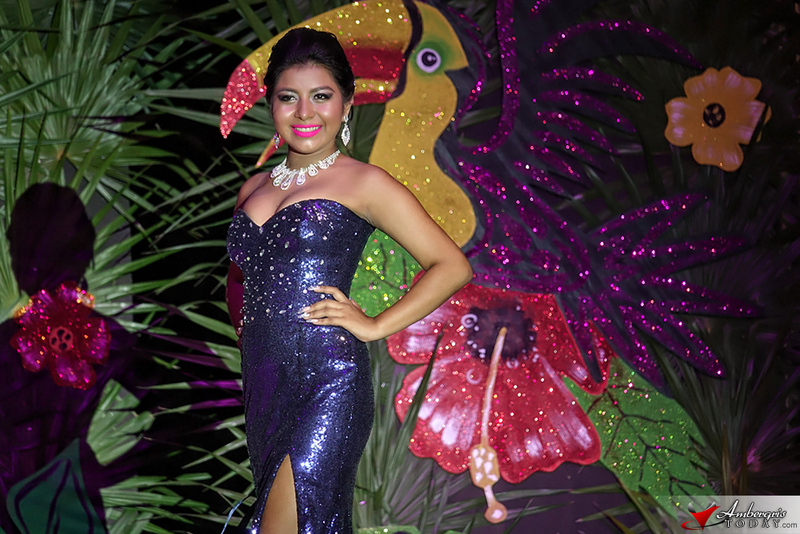 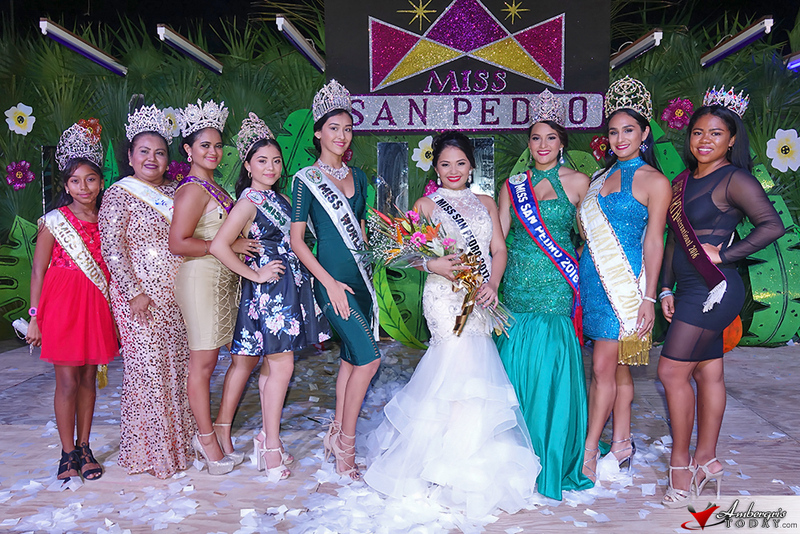 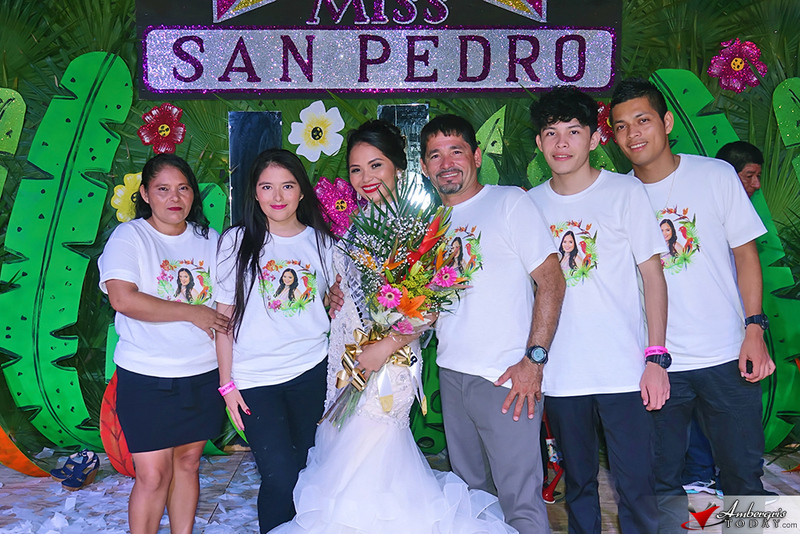 Virginia Vasquez commanded the stage at the Miss San Pedro Pageant 2017 that took place on Saturday, September 2 on Ambergris Caye, Belize. 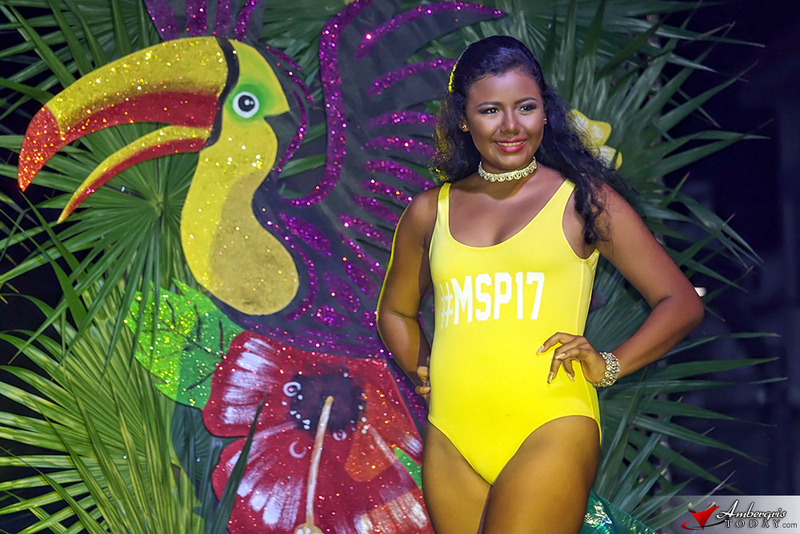 She was selected as the island’s new beauty ambassador and will be officially crowned during the September 10th patriotic celebrations. 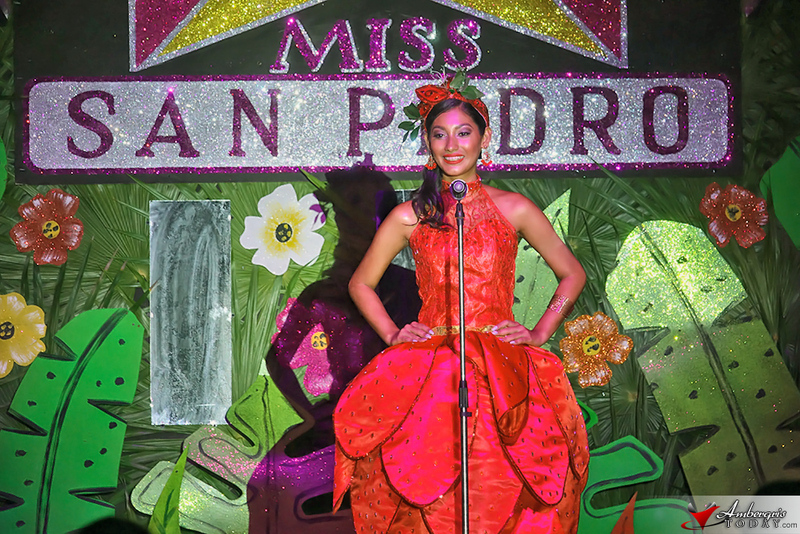 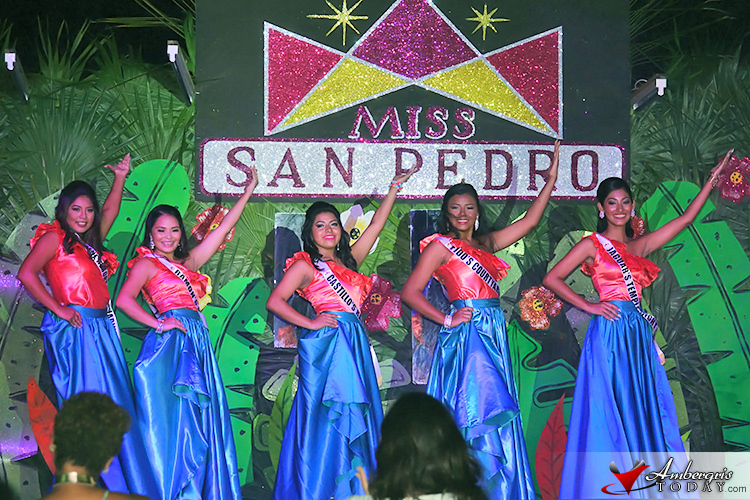 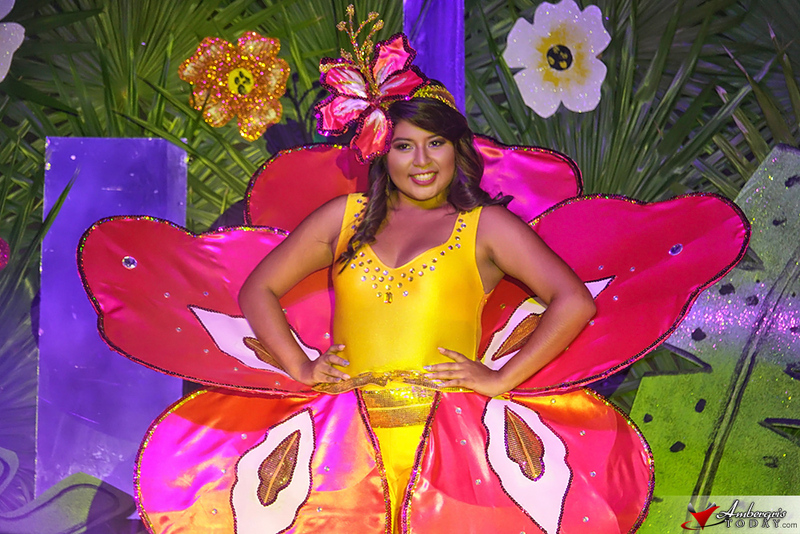 Under the theme ‘Fragrantly Floral’ the five contestants of the Miss San Pedro Pageant delighted and entertained the audience with floral-themed costumes. 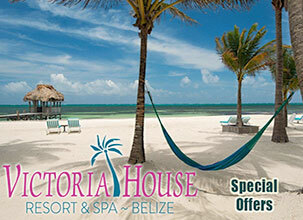 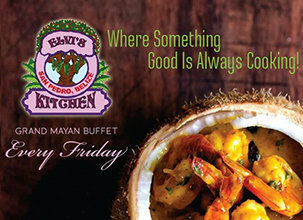 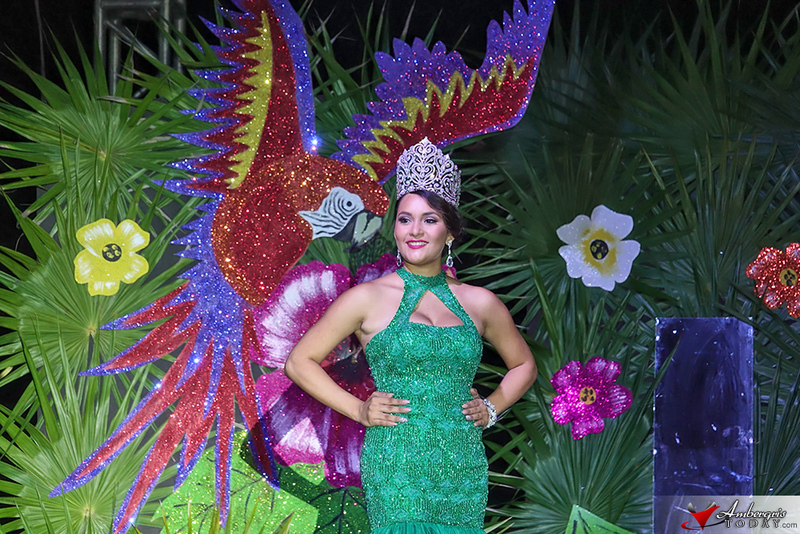 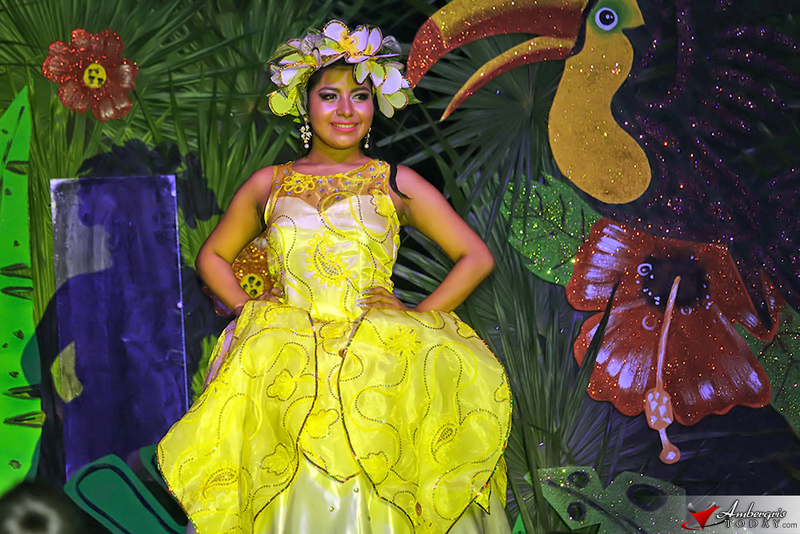 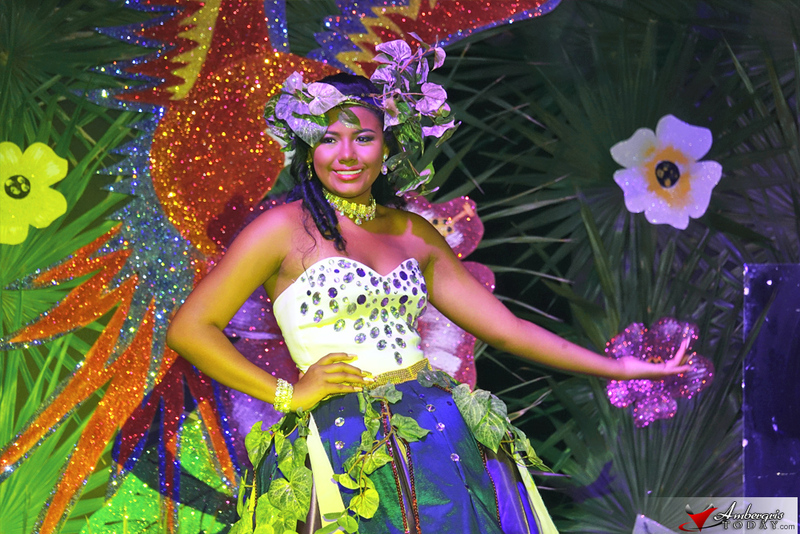 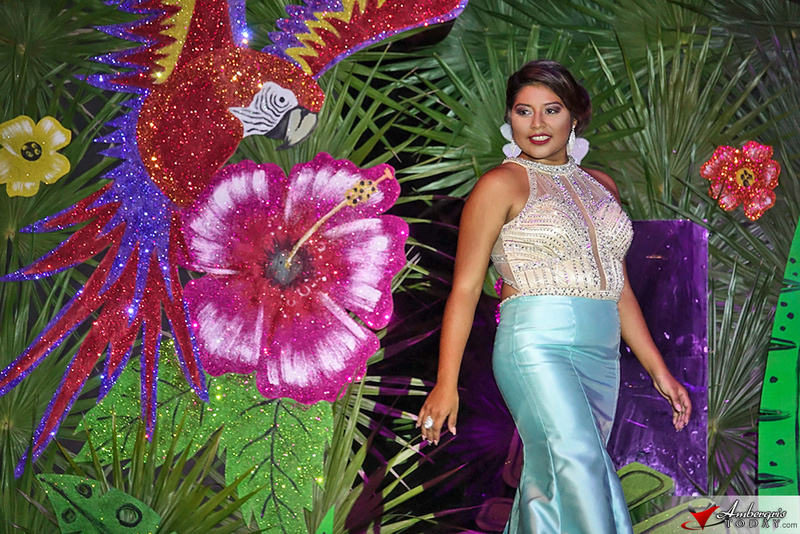 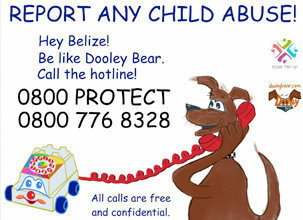 They paid homage to the bright colors of Belize’s flowers including the hibiscus, fansy pansy, bird of paradise, red ginger and the morning glory. 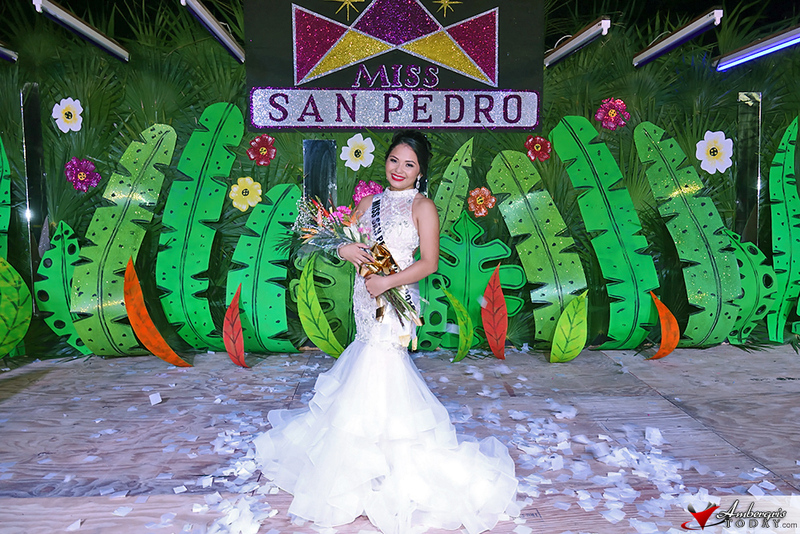 The stage lit up with their performances in the opening dance number, swimsuit competition, costume competition and evening gown competition. 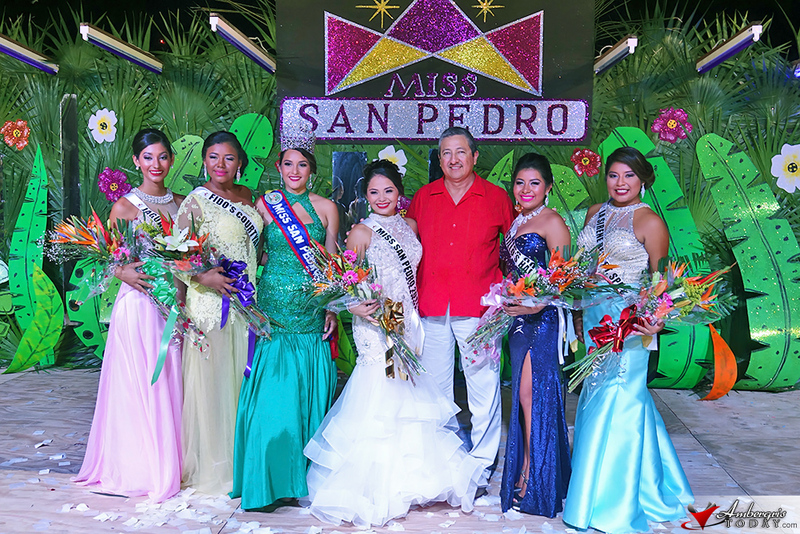 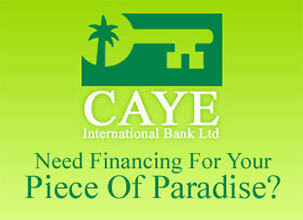 Each contestant did exceptionally well in the question and answer segment with eloquent and intelligent responses. 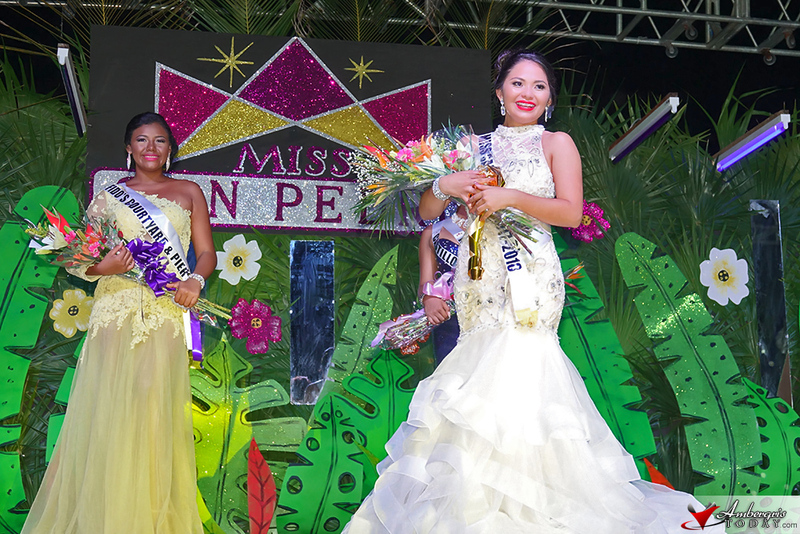 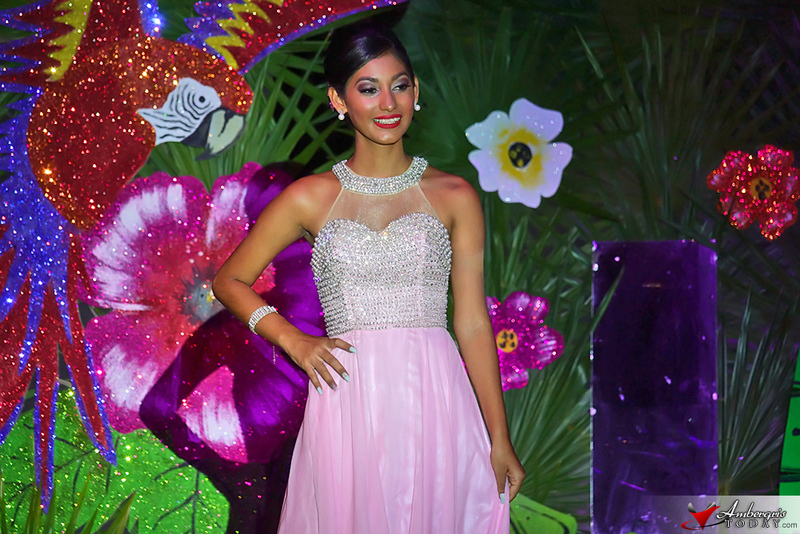 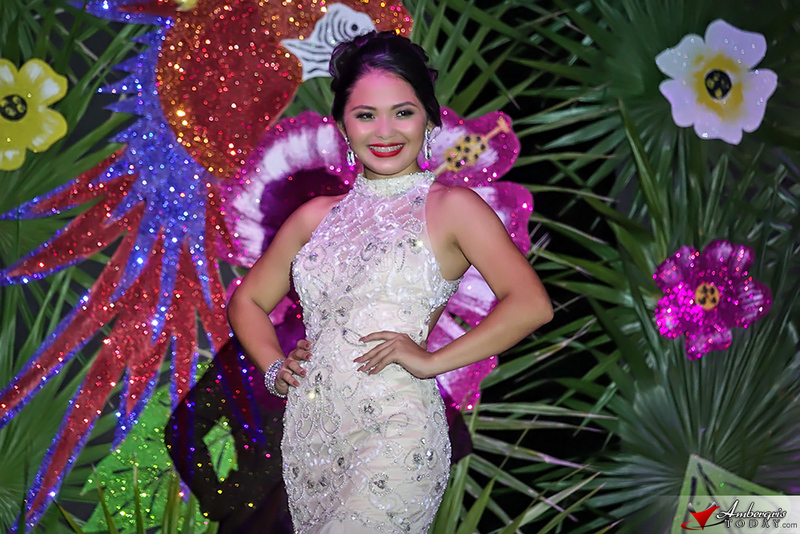 The Miss Congeniality title was awarded to Nurian Trujillo and Tanisha Rhaburn placed First Runner Up and also received title of Miss Photogenic. 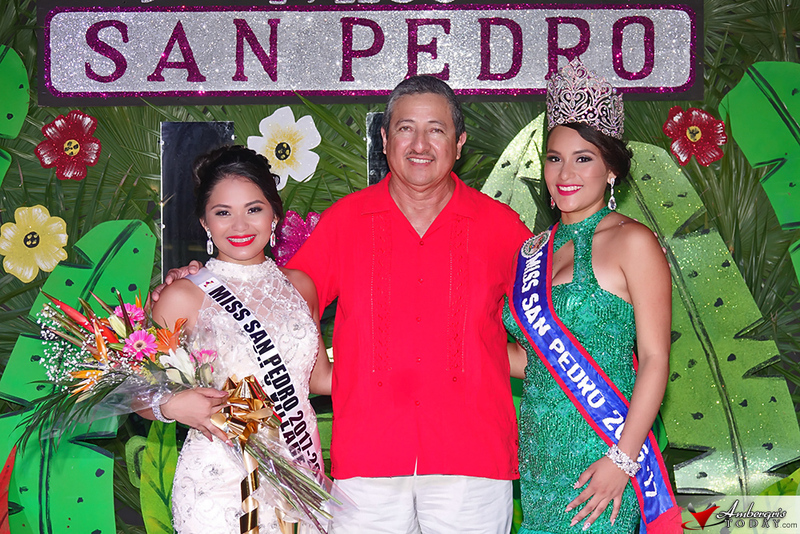 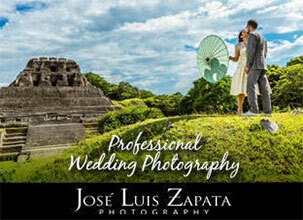 The other two contestants included Viviana Paredes and Nailea Kotch.